Phineas and Ferb: Across The 2nd Dimension. The pictures are from the ディズニー Channel Asia sneak peak of the season 3 and the film!! In my opinion, they look so AWESOME in that style!! ...CAN'T WAIT!! It all looks so cool!!. 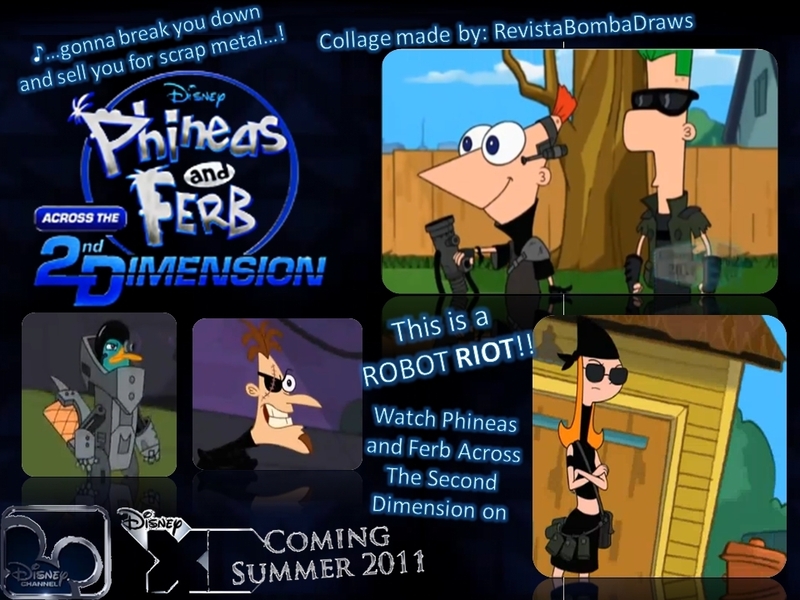 HD Wallpaper and background images in the フィニアスとファーブ club tagged: phineas and ferb. The pictures are from the ディズニー Channel Asia sneak peak of the season 3 and the film!! In my opinion, they look so AWESOME in that style!! ...CAN'T WAIT!! It all looks so cool!! This フィニアスとファーブ photo might contain アニメ, 漫画, マンガ, and コミック.